Bio Degeradable bags are purely made from 100% bio-based material utilizingindustrial grade cassava starch, derivative of vegetable oil andother natural materials. Due to its unique composition it is widelyconsidered in the world as one of the lowest cost for bio-plastic. Backed by a team of dexterous professionals, we have been able to provide the customers with a remarkable assortment of D Cut Bags. 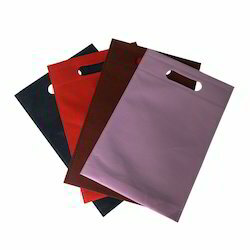 These bags are designed and made as par latest market trends, keeping in the mind the various uses of its for which it is used in both commercial and non-commercial areas. 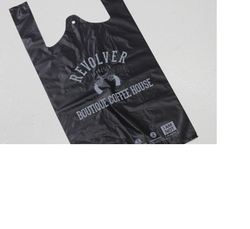 This range of bags can be easily custom-designed as par the specific requirements of our clients. 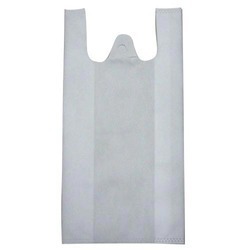 Owing to the dexterous professionals, we have been able to provide the clients with a commendable assortment of W Cut Bags. To suit the choice of our clients, we are availing this range of w cut bags in different exclusive designs, sizes, bright colors and amazing patterns. Our designer and craftsmen are making these bags using optimum-grade raw-material, as par the latest fashion trends. 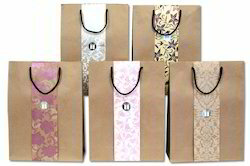 With the aid our competent team of professionals, we have came up with a wide range of Carry Bags. Extensively used for daily purposes in various shopping mall, pharmaceutical companies, corporate gifts companies, textile and garment sectors, this range is made using premium grade raw-material. Looking for Designer Bags ?